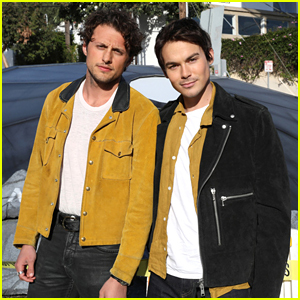 Anthony Gonzalez is all suited up for the premiere of his brand new film, Coco, held at the El Capitan Theatre in Hollywood on Wednesday night (November 8). 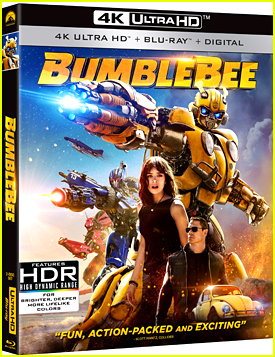 The 12-year-old actor voices Miguel in the movie and opened up to Time magazine about how he found out he got the part. 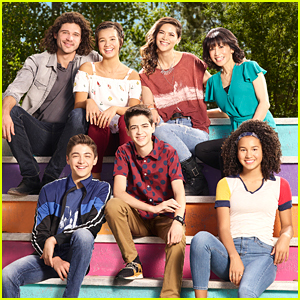 Georgie Flores, Olivia Rodrigo, Raini Rodriguez, Rico Rodriguez, Anneliese van der Pol, Issac Ryan Brown, and Aubrey Anderson-Emmons are also pictured below. Coco hits theaters on Wednesday, November 22nd. 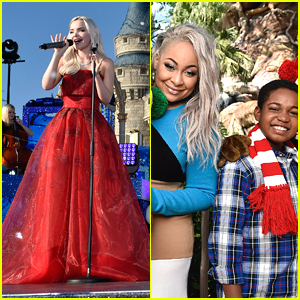 Dove Cameron Reigns in Red Dress For Disney Channel Holiday Celebration - First Look! Dove Cameron gets in the holiday spirit in a radiant red dress while filming the Disney Parks Presents a Disney Channel Holiday Celebration. 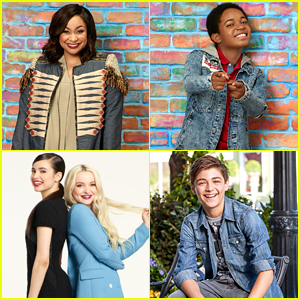 The Descendants 2 star will join co-stars Booboo Stewart and Sofia Carson at the celebration, along with Asher Angel, Zombies stars Milo Manheim and Meg Donnelly and hosts Raven-Symon� and Issac Ryan Brown. Booboo will actually take viewers on an exclusive tour of Toy Story Land, opening next summer at Disney’s Hollywood Studios at Walt Disney World Resort. Disney Parks Presents a Disney Channel Holiday Celebration will premiere on Friday, November 24th on the DisneyNOW app, and on Disney Channel on Friday, December 1st @ 8:30PM ET/PT. Issac Ryan Brown dips his sister Serenity Reign Brown on the red carpet during the premiere of Kings at the 2017 Toronto Film Festival in Toronto, Canada on Wednesday (September 13). The Raven’s Home star danced all over the red carpet with Serenity at the event. Check out all the fun pics below! Also starring Halle Berry, Kings centers on a foster family in South Central a few weeks before the city erupts in violence following the verdict of the Rodney King trial in 1992. Issac Ryan Brown is spilling the deets on his Raven’s Home castmates and he has nothing but great things to say! 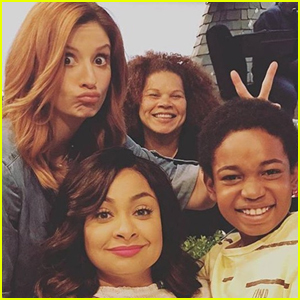 The 12-year-old actor opened up about the show’s stars Raven Symone and Anneliese van der Pol as well as Navia Robinson and Sky Katz. “Raven and Anneliese, they are probably the funniest people I know! I was amazed by how humble they were and how much work they put in…kind of makes you want to step up your game,” Isaac explained.